Jenelle Evans' husband is under fire after posting a photo with a Confederate flag. 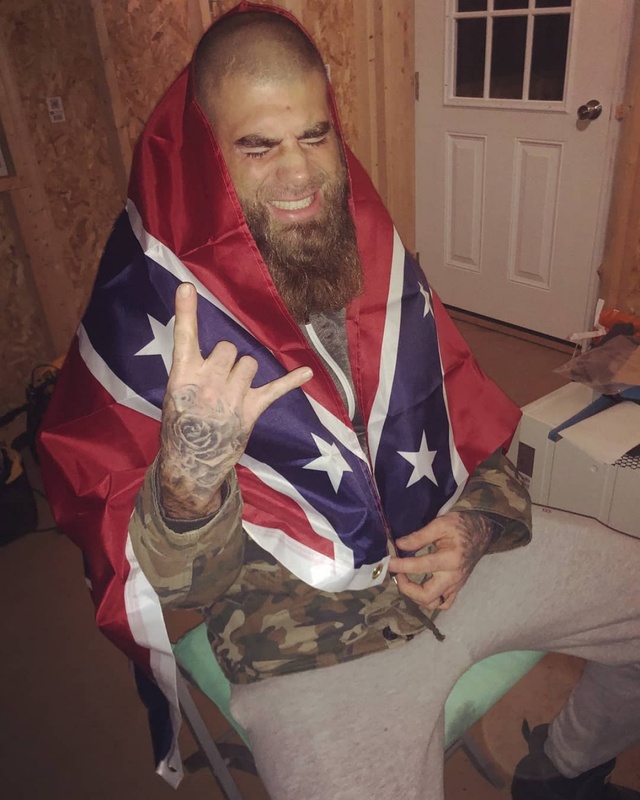 David Eason drew criticism Saturday after sharing a picture on Instagram of himself draped in the flag. "Where I'm from is who I am and my family fought and died for this land," Eason, a North Carolina resident, captioned the post. "Red white and blue comes in more than one pattern. Dont argue just get off my page if you dont agree! Thanks @rednecknation #RHEC," he added. Eason's post received over 9,000 likes, but many others slammed him in the comments. "Get a life you look so disgusting," one person wrote. "You are such garbage," another commenter wrote. Eason was fired from "Teen Mom 2" in February following his homophobic remarks on Twitter. Many fans and Evans' co-star Kailyn Lowry urged MTV to take action after Eason referred to members of the LGBT community as "abominations." "David Eason's personal comments do not reflect the views of MTV," the network responded. "With six weeks left of production on Teen Mom 2, effective immediately, we are ending our relationship with him." Eason and Evans married in September 2017 and are parents to 21-month-old daughter Ensley. Evans is also mom to 9-year-old son Jace Evans with Andrew Lewis and 4-year-old son Kaiser with Nathan Griffith.